A crucial part of your law firm’s day to day operations is being able to track time and billable hours accurately. Law firms need to be able to maintain effictive time and billing schedules. Securely access and work on invoices and billable hours. Airdesk enables your firm's employees to securely access Timeslips from the cloud to update invoices, and log billable hours on any device with a reliable internet connection. Efficiently collaborate on scheduling, tasks and invoices. With Timeslips on the cloud it is easy for your employees to all update information at the same time. 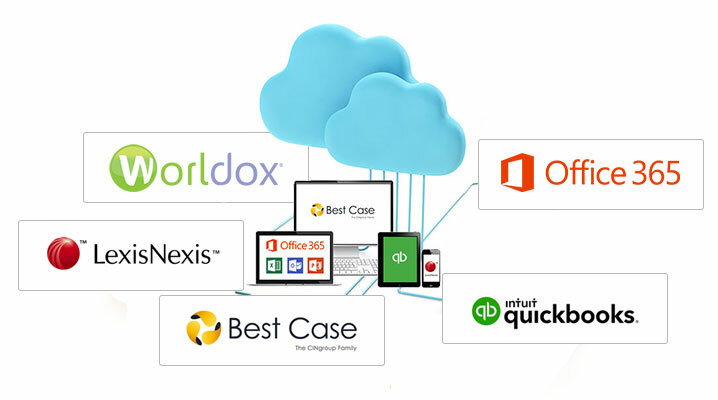 The AirDesk Legal cloud allows a streamlined work environment from anywhere. When you access Timeslips with AirDesk Legal you can be confident your data is protected and secure. Enjoy access to Timeslips from anywhere on any device with the mobility of AirDesk. With AirDesk, your law firm’s employees can work from anywhere with ease. Employees can access documents and projects from any device with an internet connection. Enjoy the benefits of Timeslips and improved work-life balance with AirDesk Legal.